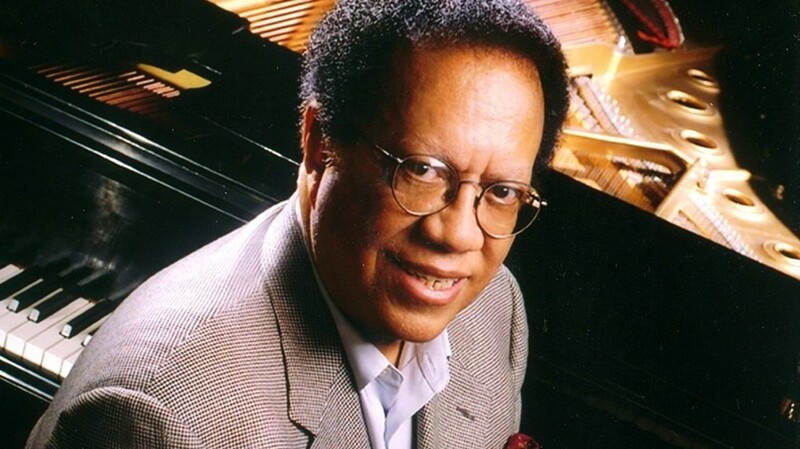 The great pianist Cedar Walton died today at the age of 79. One of the last remaining members of the generation of musicians who developed the genre known as hard bop—soulful music that used the harmonic advancements of bop as well as strong melodic sensibilities—Walton never seemed to get his due, despite recording with John Coltrane (he was part of the legendary 1959 Giant Steps date, although not included on the original album) Art Blakey and his own band, Eastern Rebellion. But the musicians knew how good he was. Along with Tommy Flanagan (who was included on Giant Steps) and Hank Jones, Walton was a pianist who covered the full tradition of jazz and made it all his own sound. One of the younger musicians who knew how good he was—bassist Steve Kirby, who runs the jazz program at the University of Manitoba—engineered one of the more interesting evenings I've ever had in the jazz world. Kirby invited Walton to Winnipeg to be part of a master class and play a concert, accompanied by himself, tenor saxophonist Javon Jackson and drummer Joe Farnsworth. Following the concert, a number of us were invited to attend a party held by Barbara (Babs) Asper, the widow of Izzy Asper, a Canadian media baron. In addition to owning newspapers and a television network, Izzy Asper had been extremely well connected to the Liberal Party of Canada, close friends with prime ministers, and a huge supporter of jazz. He had died in October 2003, just after he and Babs had moved to an extraordinary penthouse apartment in Winnipeg. How extraordinary? The living room included a low stage with a grand piano, to which Cedar Walton was invited to entertain the other guests. While Cedar played, Javon and I circulated. At some point, I fell into conversation with an elderly man, who had been a friend of Mr. Asper's. When Mrs. Asper told him I wrote for DownBeat, the man told me that he'd been a fan of the magazine for more than 60 years, and still had many of his back issues. On the subject of collecting, he pointed to the long glass scrims that hung from the apartment's ceiling behind the stage. "See those?" he said. "That's Gershwin." "No, no," he said, sensing—correctly—that I was missing the point. "The engravings on the glass are in Gershwin's hand. Izzy owned the world's largest collection of Gershwin lead sheets." Now, there's something you don't see everyday. Later, in a taxi on the way back to our hotel, I told Cedar and Javon about my conversation and the Gershwin engravings. "Wish I'd known," said Cedar, not missing a beat. "I could've played old George." Apparently, he was a man known for his dry wit. One other story stays with me: Although he never expressed bitterness about not being included on Coltrane's landmark debut recording, he once told an interviewer that if he could do anything over again in his life he would probably have taken the solo that Coltrane offered him on Giant Steps.